The Court of Justice of the European Union has published in its resources the Opinion of the Advocate General Henrik S. Øe of 31 January 2018 delivered in Case C-527/16 Alpenrind. The Advocate General (AG) objected a broad interpretation of the so-called ‘non-replacement’ condition concerning posted workers under Article 12(1) of Regulation 883/2004. Henrik S. Øe found that it would mean in practice that at the time of making the posting, a posting employer would be potentially uncertain, whether or not the posted worker’s situation would come within the scope of Article 12(1) of Regulation 883/2004. This, according to the Advocate General, would be likely to alter considerably the economic conditions in which the posting employer provides its services in the host Member State and would also give rise to administrative complications for the employer and for the posted worker concerned. This in turn is incompatible with the EU’s principle of legal certainty and constitutes an obstacle to the freedom to provide services. The Danish AG his Opinion assessed the case of a slaughterhouse in Salzburg, operated by an Austrian company Alpenrind. Two Hungarian companies, Martin-Meat and Martimpex-Meat, posted workers to it one after another. According to the Salzburg Regional Health Insurance Fund, employees posted by the latter company should have been subject to social insurance in Austria, as they “replaced” workers posted by the former company. 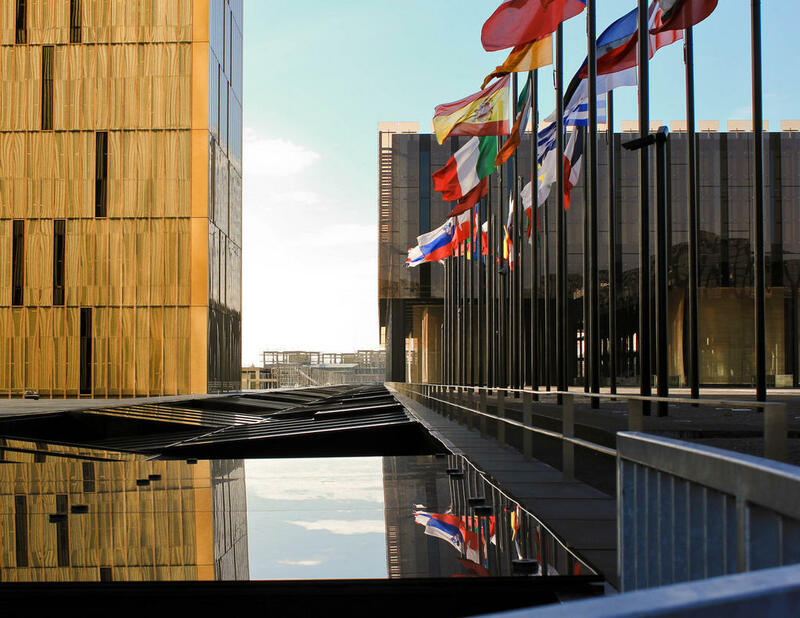 The case was also the subject of several years’ proceedure before the EU Administrative Commission for the Coordination of Social Security Systems. AG Øe, after examining the etymology and the wording of art. 12(1) of Regulation 883/2004 came to an important conclusion. In his view, the prohibition of replacement (non-replacement condition) contained in this article is not intended to avoid successive postings by different (subsequent) employers from the same or other Member States. The EU legislator in this article sought rather to prevent situations in which the same employer rotates its posted staff in order to circumvent the condition relating to the duration of the posting. According to the Advocate General Øe, the words ‘sent to replace’ support the argument that ‘the non-replacement condition’ must be considered solely from the viewpoint of the employer that posts the worker. He found that, save in a case of abuse, the posting by a subsequent employer (AG refers to it as ‘the empoyer B’) is not intended to replace a worker posted by a first employer (‘employer A’). The purpose of such a posting is rather to ensure the provision of a service in the host Member State. The above considerations led the Advocate General to believe that there is no ‘replacement’ within the meaning of Article 12(1) of Regulation No 883/2004 where employer B posts a worker in order to carry out work that was previously carried out by a worker posted by employer A. In other words, there is nothing to prevent employer B from making such a posting. One cannot assume in a general way that in such a case the law is abused, either. It also follows that the recipient of the service in the host Member State is not prevented from making use of successive and separate contracts with different undertakings relating to the performance of the same work by posted workers who are not subject to the social security system of the host Member State. According to the AG, an interpretation to the contrary would have the consequence that employer B would be placed in a less favourable position than that of employer A solely because employer A was the first to take advantage of the possibility provided for in Article 12(1) of Regulation No 883/2004. This would introduce the ‘first come, first served’ principle, not provided for by the EU legislator and contrary to the EU’s principle of legal certainty. The broad interpretation of the non-replacement condition, according to which it would also cover successive postings by different employers, would mean, in practice, that at the time of making the posting, the employer would be uncertain whether the situation of a posted worker falls within the scope of application of Article 12(1) of Regulation 883/2004. Therefore, according to the Advocate General, such interpretation may, through a significant change in economic conditions, threaten the objectives pursued by this provision – which are, among others, facilitating the use of freedom to provide services and stimulating mutual economic interpenetration by avoiding administrative difficulties, especially for workers and enterprises. The Advocate General ruled out such a broad interpretation precisely because of these reasons. AG Øe also pointed out that it does not matter that employer B comes from the same country as employer B. The Advocate General also made it clear that the above interpretation of non-replacement condition concerns a situation where there are no personal (staffing) and organizational links between the employers concerned. When such connections exist in a given case, according to the AG, it is appropriate to examine whether the postings made by these employers are aimed at circumventing the non-replacement conditio laid down in Article 12(1) of Regulation 883/2004. According to the Court of Justice’s case-law, legal entities can not rely on EU law for abusive or fraudulent ends. It is not possible to extend the scope of application of the Union legislation to cover the abuse of economic operators either. The effects of each meeting are turned into good practices, practical tips and recommendations. 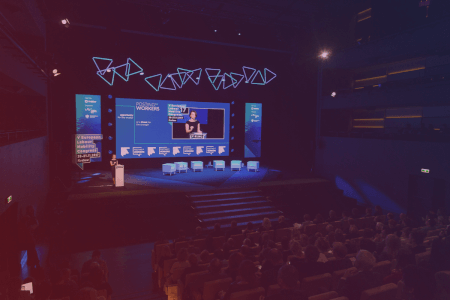 VI European Labour Mobility Congress in Krakow – registration in progress! 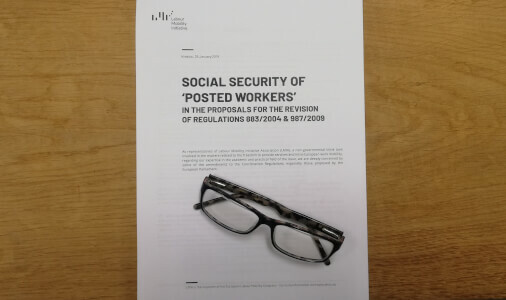 Social security of posted workers – LMIA’s new legal analysis is out now! Trilogues on Social Security Coordination’s revision are underway. What shall we expect?